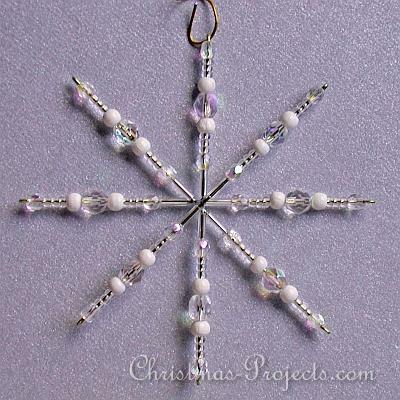 Imagine your Christmas tree sparkling and glistening with this lovely beaded snowflake ornament. This craft is easy for adults and kids alike. 2. 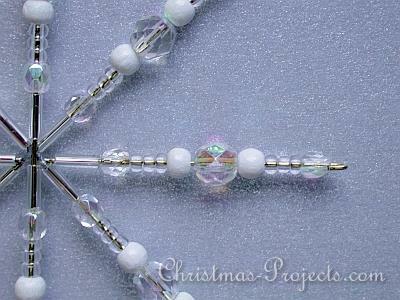 When the beads are added, use needle nose pliers to form a loop at the end of the spoke to prevent the beads from slipping off. 3. Continue in the same pattern for the next 7 spokes. 4. Add a wire hanger when finished.